ABOUT: Vanimans Lookout is another easy to get to fenced lookout with a fantastic view over ‘Scenic World’ – Katoomba Falls on the left, three sisters in the middle and the Jamison and Mount Solitary over to the right. Great in the early morning but throughout the day if cloudy and sunset lights the whole scene red from the right. A small lookout but on the Furber steps route to the valley floor so few people stop here long. 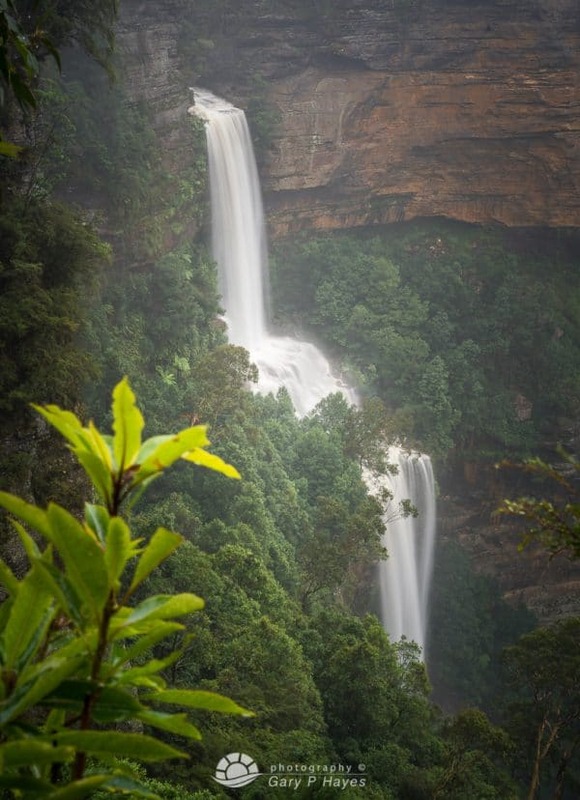 PHOTO EQUIPMENT TO BRING: A 17mm can cover the whole scene but consider medium telephotos for great smooth shots of the falls when flowing well or a lower view of Three Sisters covered in mist. GETTING TO THE SPOT/S: Best parking free at Scenic World, walk up to the main entrance and follow the wooden trail off to the left. After about 5 mins take the sharp right trail (Round Walk) marked to the Furber Steps and down into the valley. The lookout is the first one about 50 steps down.